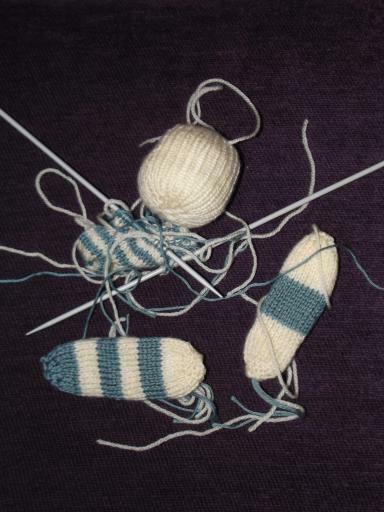 I’ve not really kept up with the updates on the knitting! I’ve been going for almost two years now! I didn’t manage the sock challenge but will maybe reattempt next year! At the moment I am trying to finish off the Berry Bear blanket in time for Mary’s 3rd birthday but the circular needle is breaking so I am attempting a sugru fix with the knitting insitu (wish me luck!). But I also have a little niece due in August so have started knitting baby toys – just six balls to start with and then maybe a duck! 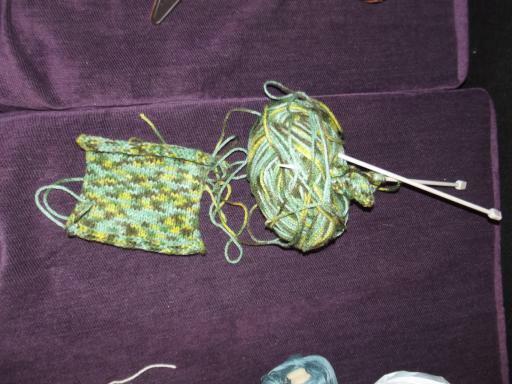 I am also knitting a toy for my eldest – it is going to be a creeper which is a creature from a game called Minecraft which the whole family are a bit obsessed with! Incase anyone wants to follow/befriend me I am on Ravelry and I have an etsy shop where I sell off excess! Also I hope to soon release the patterns for the molecular knitting which I put together for Science and Engineering Week earlier this year. I have lots of ideas (as always) of stuff to knit but am trying to finish projects off before starting new ones though I am going to attempt to knit Christmas presents and stuff this year so we shall see – I’ve packed away the olympic knitting and wont be getting it out until the Winter Olympics.